Though not many rifles made today are blued steel and walnut stocked works of art, it is inarguable that never before has so much ballistic accuracy been available for such little money. Though often made with polymer stocks and steel coatings that are paint based, today’s rifles are more consistently made than those of the past. Computer aided design and manufacturing have made even some entry level bolt rifles capable of 1/4 inch groups at 100 yards. That said, every hunting rifle in every caliber still needs a decent telescopic sight mounted to reach its accuracy potential at longer ranges. Ironically, the rise of the internet has made finding the sweet spot between rifle scope performance and price harder, not easier. Even 20 years ago, you went to the sporting goods stores, eyeballed some scopes, and generally found that the more you got in terms of clarity, magnification power, coatings, and other details, the more you paid. If you went with Zeiss, Leupold, or other “name brand” choices, you could easily spend more than you did upon your rifle itself. It may seem difficult to believe, but Leapers, and the “UTG” or “Under The Gun” scope series comes to us from the world of paintball shooting. Leapers has been making American made scopes well constructed enough to be mounted upon center fire rifles for about a decade now. 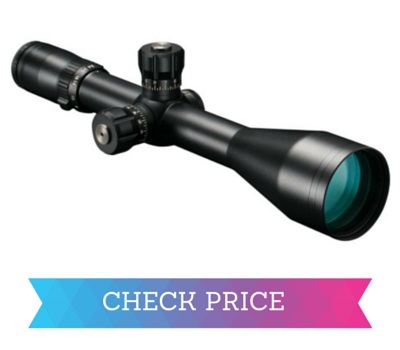 This scope is solidly constructed, nitrogen filled to prevent fogging, and features coated lenses. 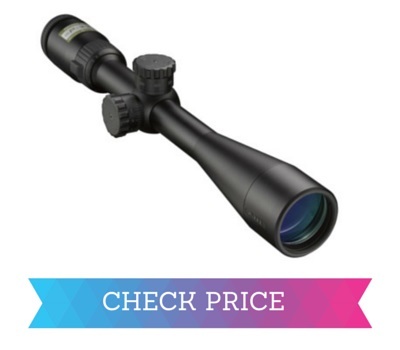 The name of this scope is a mouthful, and for less than about $135.00, let’s break down what some of these features usually found only on far more expensive scopes, actually are. “SWAT” stands for “Side Wheel Adjustable Turret.” What this refers to is Leaper’s implementation of parallax adjustment, allowing this scope to range between 30 feet and infinity with a minimum of optical distortion of the objective. 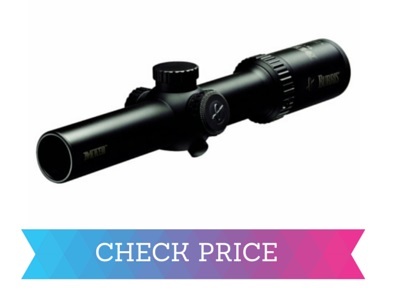 However, at this price, it is the illumination enhancement of the Mil Dot wire reticle that is most uncommon. Most modern scopes gather adequate light for most shooting circumstances. The problem is that certain lighting conditions in dappled sunlight, or deep in the brush, seem to swallow up the black reticle, making it hard to pick out of the background. With 36 available colors, this scope lights up the crosshairs of the reticle, ensuring you are aiming where you want to be shooting. Though most of these UTG scopes seem to be mounted upon air rifles or rimfires, Leapers claims this scope has been used upon rifles with large recoil forces. It is certainly inexpensive enough to try out atop any rifle you choose. Everyone knows Nikon as one of the leading camera makers in the world, but they have been making rifle scopes for decades too. If you own an AR-15 or other .223 rifle for hunting prairie dogs, coyotes, or just for plinking, the Nikon P-223 BDC 600 was made specifically for this caliber. If you do your part by zeroing the rifle at one hundred yards and match your chosen load against the information presented at Nikon’s website, this scope takes most of the ranging guesswork out of your shot at up to 600 yards. “BDC” stands for “Bullet Drop Compensator.” In Nikon’s parlance, this refers to a series of circles and dots, called subtensions, on the vertical crosshair that are placed below the horizontal crosshair. These give the shooter a very accurate assessment of how much hold over will be required to hit at a given range using the 55gr. polymer tipped round it was designed for. At distance, you still have to do your part accounting for the wind and spin drift, but the BDC makes shooting the .223 at long range so much easier than it is without it. If you want to use a different load than the 55gr., the Spot On website at Nikon will give you that data too. If you prefer zeroing at a different distance, the Nikon’s “Rapid Action Turret,” with very positive 1/4 inch travel click adjustments, still makes ranging any known distances for the horizontal crosshair as easy as can be. For the money, this scope is an excellent value. You get rugged construction that resists the recoil of thousands of rounds and can take rough handling while maintaining its zero. You also get multi-coated optics for reduced glare and maximum light transmission as well as a nitrogen filled tube to prevent fogging. If the .223 isn’t your thing, don’t fret. The Nikon BDC series of scopes is also designed around the ballistic data from other calibers. What does spending around $500.00 on a scope get you that $300.00 won’t? For one, it gets you one of the best warranties in the entire gun optics industry. When you’ve only been around since 2004, in a field filled with legendary brand names, you compete with great products backed by fantastic service. If you buy a Vortex scope, besides a very high value optic, you get a no excuses warranty. Even if the damage to your scope is your fault from a drop or other accident, if you send in the remains, you get that scope either repaired or replaced with its equivalent. There are no cards to fill out, and no receipts required. It doesn’t matter if you are the first owner or the third either. Beginning with a one piece tube made from 6061 T6 aircraft grade aluminum, Vortex builds the Viper for a long service life. Where most telescopic sights are purged with nitrogen, the Viper is purged with argon, a noble gas. A noble gas chemically has a full electron shell, which in lay terms means that argon cannot chemically attach to any other molecule, including H2O, otherwise known as water. Also, with argon being atomically larger than nitrogen, it has a more difficult time escaping the gas seals over a lifetime of shooting. Each Vortex Viper built is subjected to 500 repetitions of factory shock testing at 1000G’s. The force involved in testing makes each 21.6 ounce scope momentarily weigh the equivalent of 1,350 pounds. In short, the Vortex Viper is built to shrug off both recoil and impacts while maintaining its zero and structural integrity. Vortex’s commitment to the details at this price point also extends down to the springs used in the click adjustable turrets. Where most companies use chromium wire springs, Vortex uses a copper alloyed cobalt beryllium spring technology for improved corrosion resistance and longer service life. If the tube and the turrets are the body of the scope, the lenses are the heart. It doesn’t matter how tough your scope is if it can’t see with clarity. Vortex uses what it calls XD low dispersion glass for clarity and color fidelity. They also use what they call XR anti-reflective coatings to cut down on glare and maximize light transmission. Finally, the optic is coated with ArmorTek, a chemically bonded surface coating that resists fingerprint oils, water droplets, and minor abrasive scuffing from dust and other environmental insults. Again the question arises about what you get when you step up in price class with telescopic rifle sights. The Bushnell Elite Tactical G2 FFP ERS not only answers that question with fantastic optical clarity up to its full 24x magnification, this scope also tells you why serious long range hunters and tactical shooters sometimes spend more on their glass than on their rifles. Normally, when you see the word “tactical” in a product description, you tend to dismiss it as marketing hype. Not in this case. Bushnell is using the word because this scope is designed to rapidly acquire a ranging solution for taking accurate extreme range shots. In this case, “tactical” is referring to this scope’s use of a first focal plane reticle. In a nutshell, here is the primary difference between first and second focal plane scopes. On a FFP scope, as the target is magnified and “grows” in the scope, the reticle is likewise magnified, keeping the subtensions, the official term for the circles or dots in your reticle, the same representative distance relative to the target. This “growing” of the reticle has the advantage of minimizing the mental calculations for holdover, and for leading of the target, at the expense of the “thicker” reticle possibly obscuring part of the view. FFP reticles are also more expensive to manufacture because the reticle is etched into the focal plane rather than overlaid. On a second focal plane scope, as magnification increases the reticle stays the same, making it thin even at extreme distances. However, you are now required to do the math, use a computer, or use a spotter to figure what the subtensions mean in relation to the distance. These calculations delay doping the scope for the shot. The advantage of the SFP scope is less obscuring of the target as well as being less expensive to produce. When does any of this matter? When you have to take a quick long range shot in changing light or mirage conditions, you’ll often want to rapidly reduce the magnification to clarify the sight picture. When you only have one chance, such a snap shot is much easier to make with an excellent FFP scope like the Bushnell. With its big 50mm light gathering objective, solid construction, better than average eye relief, and that FFP reticle, this scope is a great piece for serious 600 to 1000 yard shooting. Let’s face it, most of us are not going on a lottery hunt for big horn sheep in the high desert of southern Oregon, where a once in a lifetime shot at 850 yards is a possibility. Most of us can’t even find a rifle range nearby that goes past 200 yards. If you’re like most rifle shooters, you’re probably better off with a low magnification variable power scope, one that can be quick mounted on several different rifles, one like the excellent Burris MTAC. 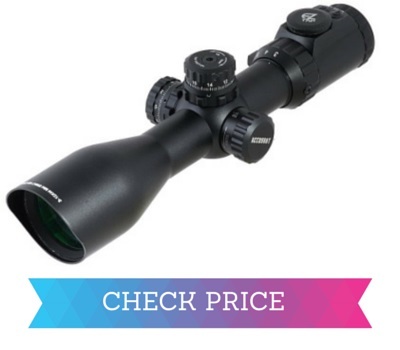 Commonly found for around $350.00, this elegant scope features a low profile design that still has enough optical clarity to serve you as a reliable hunting scope at ranges up to 600 yards. However, with its quickly acquired illuminated reticle, called the “Ballistic CQ,” presumably for “close quarters,” the MTAC is also an ideal self-defense or shooting sports scope for 5.56mm or 7.62mm service class semi-automatic rifles. The MTAC features 10 illumination levels for a centered red dot surrounded by a red border circle reticle. Between the dot and the circle’s inside perimeter are one upper vertical crosshair and two horizontal ones. Where the lower vertical cross hair would be are a series of subtension dots that mark the bullet drop out to 600 yards. Whether you think in MOA or Mils, the Burris MTAC offers a quick firing solution that rivals the best dedicated red dot scopes while still offering rapid 4x magnification capability. Another great feature, especially if you are running and gunning with it in competition, is Burris’ no questions asked warranty. 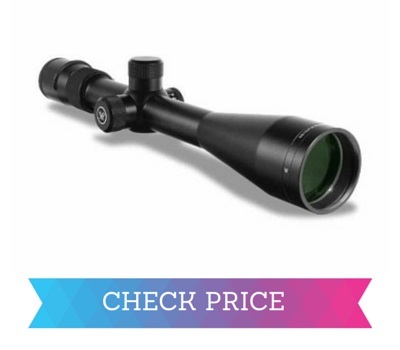 As long as the damage to the scope is not deliberate, they will cover its repair or replacement, no warranty registration or receipt required.